Warner Bros has debuted the official poster for The Book of Eli on MySpace tonight. Just in case you couldn't tell from the poster, this stars Denzel Washington as well as Mila Kunis, Gary Oldman, Michael Gambon, Ray Stevenson, Malcolm McDowell, and Tom Waits. Usually when an actor uses his face for the entire poster, it's for a comedy or some drama no one cares about. However, this poster is actually pretty awesome, just because it's a gritty Denzel Washington looking off into the distance with some badass shades. What more could you ask for? And my next question is if we'll get one of these for Oldman, too? We ran the first teaser trailer for The Book of Eli in July and followed it up with a full-length trailer in September. I'd suggest re-watching both of those to get excited for this again, as it looks pretty awesome. 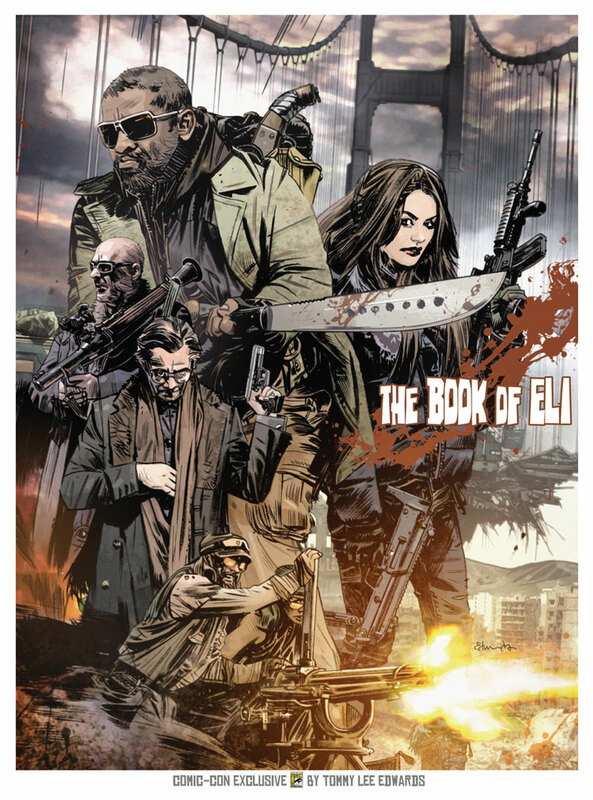 The Book of Eli is directed by Detroit-born brothers Allen and Albert Hughes, who previously brought us Dead Presidents, American Pimp, and From Hell, but haven't made anything since 2001. The screenplay was written by newcomer Gary Whitta, who is also attached to write the Akira live-action remake and The Defenders coming up. 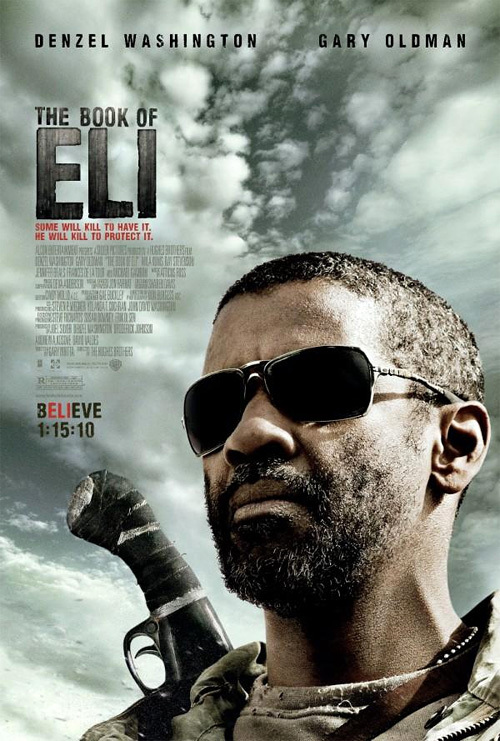 Warner Brothers is bringing The Book of Eli to theaters starting on January 15th. I'm excited for the movie. 🙂 The poster looks pretty good. I wouldn't mind seeing one of Oldman too. I agree with you Alex, the poster do look great. Sometimes just a single head shot makes it very stunning if the theme is right. Can't wait to see this film. Great Poster for sure, bring one for Oldman please. Looks awesome. If you like terrible movies. This is an awesome poster, your suggestion to make one with Gary Oldman is a solid one. But Shero (#5) isn't wrong, they should make more posters with ruins in the background.